We have a great collection of modern architrave, to match their skirting counterparts, and to finish your room in style. 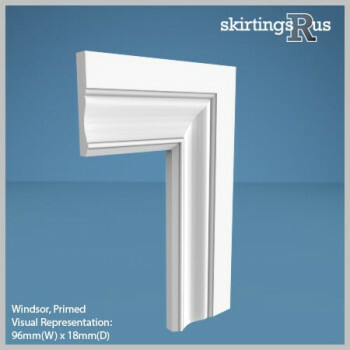 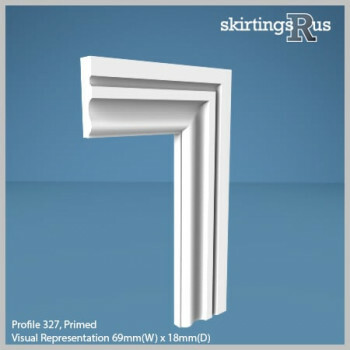 Like with the skirting, modern architrave tend to lean towards a simplistic design, featuring minimal detailing. Grooved designs are increasingly popular, and for extra effect these grooves can be lined up with matching skirting boards, resulting in a continuous groove running around the perimeter of your walls and doorway - like in the image above. The smaller levels of detail on these designs tend to be suited to narrower widths, with 69mm/3" being normal, on which the detailing is more proportionate to the board. That being said when a room requires a larger architrave, these architrave designs will still generate a strong modern effect throughout a room.